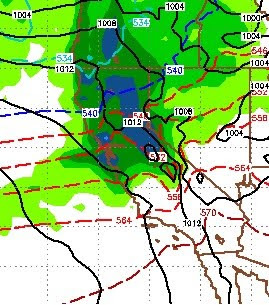 This storm will quickly exit our area and leave behind very cold air and very deep valley inversions, especially this coming weekend. Winds will not be nearly as strong and there is a good chance that the lifts keep spinning on Christmas Eve day, during the storm. With the heavy snow we received over the last several days, Christmas day could bring a champagne powder day. For all things powder, be sure to visit the best Mt. Rose site: Unofficial Mt. Rose, they will let you know if the lifts are spinning and the kind of conditions that can be expected. I am expeciting 6-12 inches of very light powder for the Carson Range starting around 8:00am on Christmas eve and ending that evening. A very cold storm is knocking on the door. It will bring high winds to the party as well. In fact when you wake up tomorrow morning, there is a very good chance the lifts at Mt. Rose will be closed as slide mountain could be seeing Category 4 Hurricane winds (130 mph). 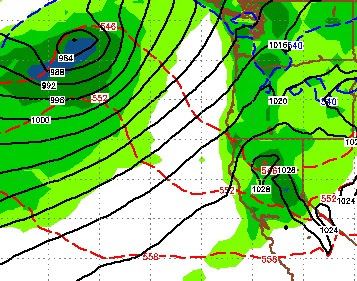 You can see our next storm located off the Oregon and Washington coast. 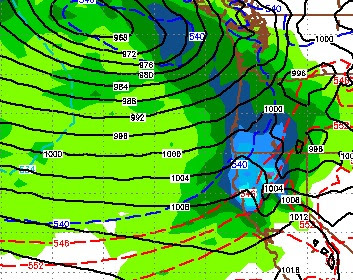 This is a bigger storm and will bring even more snow to Tahoe. This storm that is knocking on the door will be here and gone before you know it. 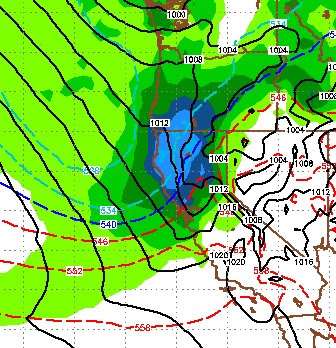 However, there is some moisture associated with this storm that could see snowfall rates around 2 inches per hour for several hours, especially north and west of Lake Tahoe near the Sierra Crest. 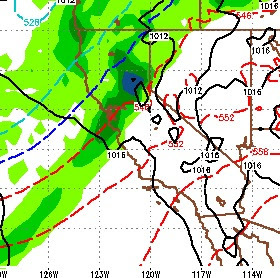 Shadowing is strong, so precip amounts will be much less for the Carson Range. 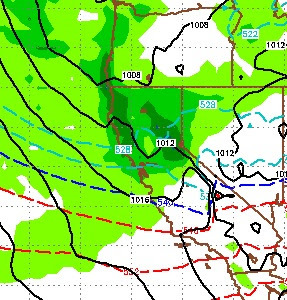 We could be talking 2 feet for the western crest and about 6-8 inches for the Northern Carson Range.